Home / Archive by Category "Yoga Asana"
Please note the ideas in the following article may not reflect the opinion of YTOC. These are my personal insights, shared by my dear friend Pat Hansen and other yoga teachers. What is in the Name, the Words, the Essence of Yoga? ? ? So much is currently happening in the yoga world. Studios are popping up all over the Denver Metro area. More and more people are becoming teachers. With all of the rapid growth, what is happening to Yoga? Last year someone told me their girlfriend went to work at Recreational Center in Denver. Her first assignment was to teach a yoga class. When she responded that she had not studied yoga, the Director of the Center responded, “Go in and do some stretching, no one will know the difference.” I personally gasped at hearing this story. A couple days ago, I received information on a program program offered in Denver that allows people to do a sixteen hour training, teach eight hours and receive a Yoga Teacher’s Certificate. I am very concerned. The Yoga Alliance worked diligently for several years deciding on how to define “minimum standards” to be considered a Registered Yoga Teacher. Representatives from thirteen different schools and yoga organizations (including YTOC) gave input. The standards include study in the following areas: 30 hours in Yoga Philosophy and Lifestyle, 20 hours in Anatomy and Physiology , 20 hours of Teaching Methodology, 10 hours of Practice Teach, 30 Elective hours and most important 100 hours of Techniques which include asana, pranayama and meditation. Can someone without this much training teach yoga? Yes. Should they be able to call themselves a “registered” teacher? No. Should they be able to call themselves “certified?” I don’t know. Certified has two meanings. The first is to “prove by certificate.” This the person has done — they have completed what the organizer presented. The second meaning of certified is “guaranteed, reliably endorsed.” Would I consider someone with a minimal amount of training “reliably endorsed?” No, I cannot say I would “reliably endorse” a teacher with only a sixteen hour training. oYogasana focuses on a single, comparatively slow contraction of isolated muscles followed by relaxation. Stretching is often a repeated, sometimes vigorous succession of contractions and expansions. oToning and strengthening in yogasana comes from the consciousness of working specific intrinsic muscle groups in a sustained manner. The purpose of stretching is more frequently used to balance an aerobic or weight workout or lengthen muscles after they have been challenged. oYoga isolates muscle groups and draws the practitioners attention to relax muscles which do not pertain to the asana. Stretching is often more focused on the goal, rather than the details. How often in life do we flex into something we don’t need to be concerned about? Asana becomes a practice of identifying the priority muscles (life experience) and letting the other muscles(and life experience) go. oStretching is not normally organized in a sequential format to balance the external and internal bodies. Yoga is taught in a format to work the body thoroughly, both externally and internally. oThe slow gradual movements of yoga places no strain on the heart. Strenuous stretching can strain the heart. oStretching focuses on attaining an external goal. Yoga is an experience of the journey. Often, when we attain the “goal,” we discover an internal fine tuning which invites us to explore the asana with a different perspective and alignment. oYoga is as much about mobility as flexibility. Tuning into the interconnectedness of all parts of the body enhances both mobility and flexibility. Stretching, with the goal of only flexibility in a specific position, can compromise mobility in other movements. An example of this is working a forward bend to touch the toes, often straining the hamstrings and psoas, limiting motion in other movements. Yoga would explore the forward bend from the lengthening of the low back and gluteal muscles supporting the elongation of the psoas, creating a stable core and more mobility. oYou can’t stretch and already tight muscle. In stretching, reaching for a goal creates a tightness of the muscle. Yoga uses the integration of breath to massage the muscles, softening the tissues of the body and inviting the continued elongation through gentleness. Our bodies like gentleness. oStretching works the skeletal muscles. Yoga works the intrinsic muscles, organs and glands. oStretching and exercise is often presented in a competitive format. Yoga emphasizes tranquility, harmony and no competition. oStretching is designed to balance the physical. Yoga is designed to effect the mental and Spiritual. oThe whole theory of yogic anatomy, balancing the nadis, chakras and the inner body is a concept foreign to the fitness world. The integration of inner flow of yoga empowers the asana practice. oAsana is defined as “sthira sukham asanam,” a steady comfortable position. The definition includes a steadiness of body, breath and mind. Stretching does not include this perspective. oBreathing practices, or for more advanced practitioners, pranayama, are integral to yogasana practice. I personally teach “breath proceeds movement.” The breath opens, massages and aligns the body, preparing it to move into expressing the asana. Stretching does not emphasize an integrated breath. oYogasana is about accumulating energy rather than spending energy. A practice properly done allows a practitioner to walk away feeling like they have added energy. Stretching can leave a person feeling they have expended energy. oRelaxed efficiency is another way to define the body process of a yogasana practice. Yoga is not about cooling down after a workout. It is more than an alternative to a workout. It is a practice for living life, relaxed and efficient. oYoga is an analogy for living. If we are competitive on the mat, we are probably competitive in other areas of our life. If we are judging ourself, we probably do this in life. If we nitpicking our poses, we probably nitpick our life. Stretching misses the vital opportunity to enhance self awareness. oRama Jyoti Vernon said, “When you put away your practice mat, your true yoga begins.” Yoga goes beyond the mat. It is more than stretching, it is an opportunity to gain tools to live your life fully. The other day a student came up to me to share how yoga made a difference. She realized she had a rock in her shoe. She was excited because she actually felt her feet. More important, rather than ignoring the rock (which she would have done at one time) she stopped and took the rock out! Silly? No. She was willing to honor her body! Do you? Do you even feel it? The awareness of yoga invites you to listen and take care of yourself so other things you do become an overflow. 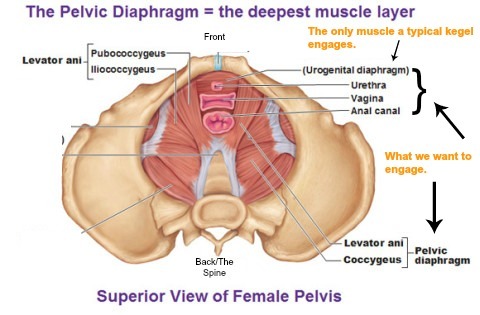 Understanding how the body is impacted anatomically and in the subtle body are essential. Yogasana are powerful. I have made myself sick from improper choices of asana and pranayama. A teacher needs to be able to evaluate the students and adapt the class to create safety for the students. Stretching classes do not emphasize the power to honor the moment. In the Puranas, it is said, “Shiva manipulated his body into 840,000 ways, each represented a different bird or beast. These asanas, energized the body, revealing the pulsating animal instincts within, the ones that have to be brought under control.” Merely moving into a position does not necessarily open the door for someone to bring their instincts under control. The many points listed above are elements you can’t pick up in a short training. They come from learning to be present for yourself, practicing and fine tuning each asana until they become second nature. The many “hours” of training, whether done through a professional program, or through your own life experience are a key to Yoga. Have you been inclusive of the “whole” of Yoga in your training and teaching experience? Are your students learning to stretch or are they learning the depth and breadth of yoga? How do you define yourself — a Teacher, Registered or Certified? How do you feel having people listed as Certified teachers with only a sixteen hour training plus eight hours of teaching? How can we keep the integrity in Yoga? Yoga training is accomplished largely through repetition of poses. By going into and out of the same pose or motions within a single pose repeatedly, the spectrum of feelings that range from comfort to discomfort becomes sharper, clearer. Through developing discrimination to the subjective signs of comfort and steadiness, ones inner experience begins to reflect this during asana practice. A deeper meaning of asana is through the contemplation of the root of the word. It can be broken down into three component parts — as “to breath”, sa “to put it together with” and na “eternal cosmic vibration”. Rama Jyoti Vernon, co-founder with Nancy Ford-Kohne and myself of American Yoga College, interprets this to mean “breathing and becoming one with the eternal cosmic vibration”. When directed in this manner, through the process of yoga posture with breathing a path to put yourself together with the Eternal becomes available. 46. Yoga pose is a steady and comfortable position. 47, Yoga pose is mastered by relaxation of effort, to create a lessening of the natural tendency for restlessness, and identification of oneself as living within the infinite stream of Life. Out of this process, naturally the next phases begin. Provided the student is aware that this is the transition point to the inner yoga, that is. Often students make the mistake of being distracted into coming out of the poses too soon. What is the end of the asana training is the beginning of the next stage or limb (anga) of Classical Yoga. The next phase marks the transition to what is called the inner yoga or raja yoga. Provided the student has read thoroughly and understood the chapter on Classical Yoga, this instantly becomes a training of the senses (pratyahara) and mindfulness (dhyana). This point is the doorway to the inner yoga (called Raja Yoga), in that the senses are being focused to a point which in turn reins in the wandering nature of the mind. At the second level of training the student is becoming steady at holding a posture and learning cues of how they become stressed uncomfortable or unstable. Success is not about ending this cycle but rather to lessen the natural tendency for instability and restlessness. Using the steady rhythmic motions of a vinyasa sequence can modify this training. At the same time the breath is being trained to maintain an even rhythm (sama vritti pranayama). In this phase of training, the force and duration of the inhale is equal to that of the exhale. The sensory and mental training can be steadied through focus on one sense, such as in the method of fixing the eye gaze (see the chapter on purification exercises) upon an attractive external object such as an attractive tree, picture, or yogic art (yantra). On the third level the theme is “relaxation of effort”. The student is asked to discriminate between overexertion and lethargy to discover the sense of “right effort”. This is in keeping with the philosophy of the sister science of yoga, Ayurveda. At the same time in breath training the student is learning to define her capacity, the quantity of deep breathing sustainable without stress to the heart, so that heart rate and blood pressure remain fairly constant. Through this process the senses and mind is brought to a point sharp attention so that their duality can be perceived. They are indeed separate and distinct functions, though for the untrained they appear to be simultaneous. Through this training the mind is beginning to be held by the attraction to the object of focus while the sensory input is re-directed, withdrawn from outer objects. The fourth level is characterized by contemplating the stream of inner bodily sensations. Through this process what begins as isolated places of feelings, such as the contrast between warm hands and cool feet, begins to move into a sense of the body as having tides or streams. Through practice the sense of the body as a series of streamlets becoming ponds becoming streams becoming lakes becoming rivers becoming a sea becoming an ocean until there is a continuum. The result is an awareness of no distinctions within or without, a state of serenity yet detachment. In this stage, the breath spontaneously becomes still. No effort is made to quiet the breath nor is there anxiety about it becoming still. The senses melt into the inner sensations of connectedness that may be flowing outward to the perceptions of the world. The inner world’s connectedness may also be seen in the external world. The microcosm reflects the macrocosm. In my practice of yoga I direct my awareness to either the specific naturally arising place of feeling or if I’m working with the Structural Yoga process of correcting my imbalances then I hold my body in such a manner that stretches a specific muscle. Either method acts to take me through the sequence of inner events described by Patanjali. When I hold a pose too long I will tend toward experiencing a trance and may become “spaced out”. Holding the pose for the subjective feeling of a “right” amount of time, it produces a state of mindfulness, characterized by alertness and insight. I find that if I go too much to either extreme of stretching a clearly defined muscle too long or not enough then I loose the “relaxation reflex” . The same is true if I’m focused upon strengthening a muscle. By contemplating the ideals of Patanjali’s Yoga Sutras, I find that disciplining for a specific point of concentration leads naturally to a doorway into whole body awareness. A sense of feeling myself evenly in all places simultaneously. This process creates a harmony that lingers for sometime even if only one pose is practiced. It is of much greater duration with regular practice and continuous contemplation of the Sutras with asana practice. This leads to a natural spontaneous mindfulness meditation. By encouraging this process in myself and in other yoga students, I’ve found a clarification of formerly puzzling sections of Patanjali’s Classical Yoga guidelines. Through regular practice of this process I’ve experienced abundant insights into myself. I find that this has been the key for my daily learning from my practice. I keep a journal beside me as I practice to save the insights that arise. Experiences of this depth remind me that the body-mind is meant to be trained as a vehicle for experiencing the connection between not only the separate parts of myself and also provides a way to open insight into the connectedness of all life. This article was first published in 2009 and is still relevant today.